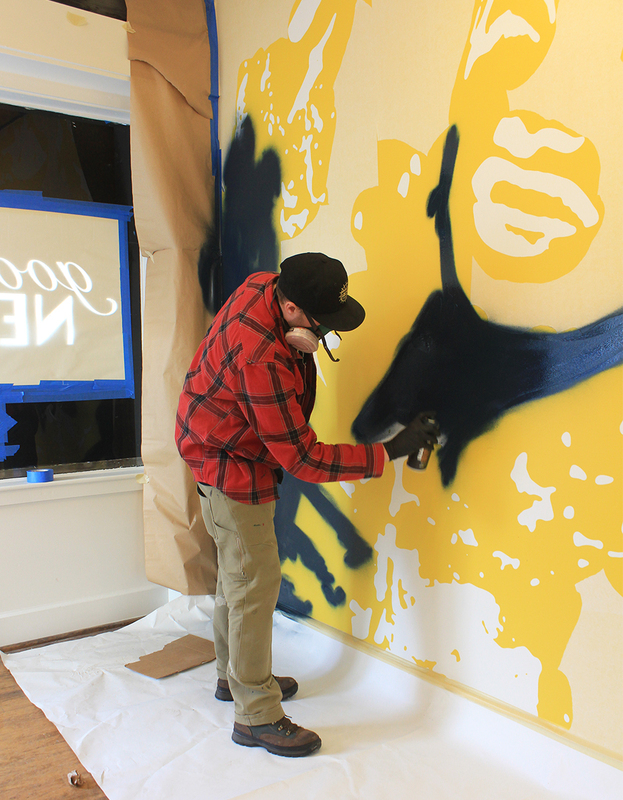 Before Good Neighbor opened we discussed doing something cool on one of their walls. 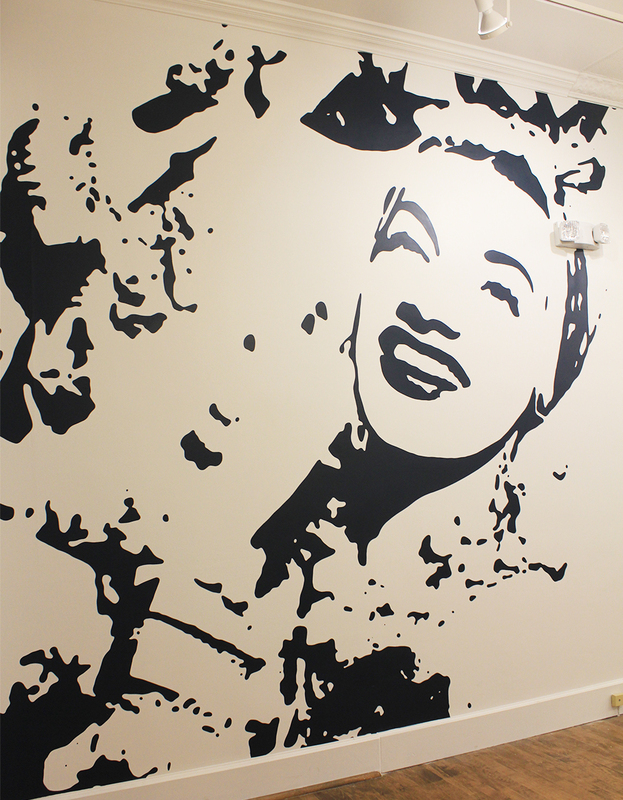 They knew they wanted an image of Carmen Miranda, the singer/actress known for her intricate fruit-themed attire, somewhere in the store. We chose a clean wall near the front window and after much debate on images and wheat paste, we decided to to a spay-paint mask for the piece. This allows the store to easily paint over it in the future and will also ensure it's longevity and ability to hold up to abrasion from foot traffic etc. We used a dark navy paint to give contrast but some softness to the image. 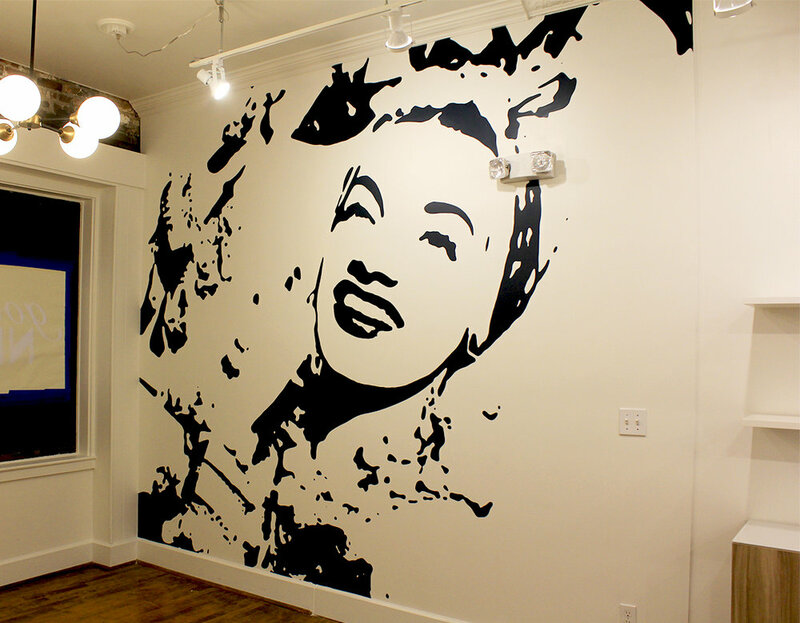 This mural will serve as a great photo op and conversation piece for years down the road.